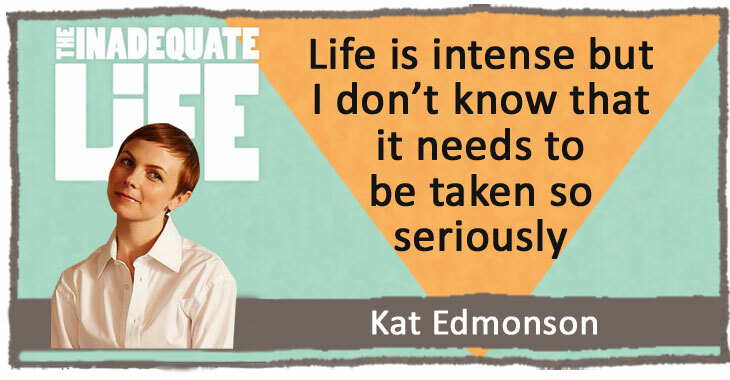 Kat Edmonson is a singer songwriter from Texas. Kat is a master songwriter who channels the work of tin pan alley lyricists while adding the contemporary edge of an ambitious, single woman living in the age of social media. Imagine an iPhone user with a touch of Cole Porter and Blossom Dearie. Kat says that while she writes, she endlessly researches the origins of words – and it shows in her playful and poignant lyrics. Woody Allen recognized her talents and featured one of Kat’s songs in “Café Society,” the rom-com set in 1930s Hollywood. Kat’s album “Way Down Low,” that features a duet with Lyle Lovett, is one of my all-time favourites, and when I first heard that Kat agreed to do my podcast I was over the moon. How often does anyone get to talk to someone who has created something so meaningful to their lives? That album of hers has coaxed tears from my eyes and helped me to discover joy in places I thought were desolate. So I was a bit anxious about meeting her. Naturally Kat was a charming and willing participant in the interview, immediately putting me at ease. Kat’s grace and calmness belie the complex path to her achievements, and in speaking with her it became clear that she’s destined to do even greater things. In the podcast we discuss several songs, I’ve included them all in this Spotify playlist. Consider listening to the playlist prior to listening to the interview. You must have a Spotify account to listen. Check out episodes that also mention Broadway, Music, texas.